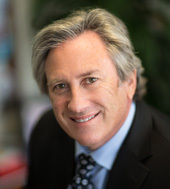 Martin Levy, CLU/RHU founded Corporate Strategies over 20 years ago. Marty is a Chartered Life Underwriter (CLU), Registered Health Underwriter (RHU), a Certified Annuity Analyst (CAA), and holds a certificate in Long Term Care Insurance (CLTC) credential. Marty is a frequent contributor to many industry publications and is also a Life and Qualifying member of the Million Dollar Round Table, an elite organization representing the top 1% of producers in the life insurance industry. Marty holds a BA in Psychology and, as a CLU®, has earned the premier credential in the insurance profession. CLUs have reached “The Highest Standard of Knowledge and Trust in Financial Planning”, representing ten or more comprehensive college-level courses covering all aspects of insurance planning, estate and retirement issues, taxation, business insurance, and risk management.